The Super Bowl is a pretty epic day in the United States, as well as to others around the world who also watch. I always watch even though I am not super into football. I enjoy the commercials and halftime show (SO pumped for Lady Gaga). So whatever the reason may be on why you tune in, it is SO important to have good snacks to feed your guests or just your family. I wanted to come up with a few recipes for you guys to have and be able to pick and choose which works best for your family. These are all incredibly easy to make and are obviously cruelty free. I also just wanted to give a shoutout to my vegan nacho recipe using cauliflower nacho cheese. Those take only 20 minutes to whip up and taste AMAZING! These are delicious and definitely a lighter option to serve. They take under 30 minutes to make and have a light crisp to them. Cut your zucchinis into fry shapes and pat dry with paper towels. In a bowl, combine all your remaining ingredients. 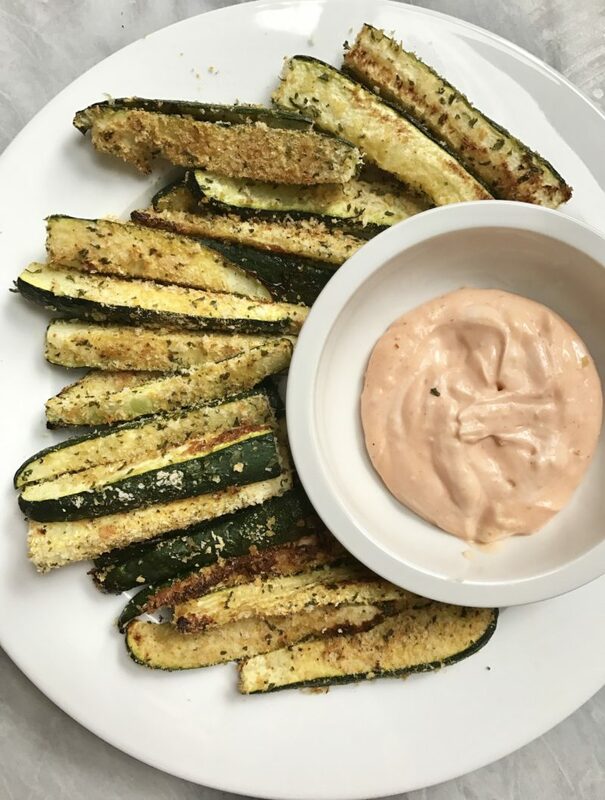 Coat zucchini fries in bread crumb mixture and lay on a baking sheet lined with parchment paper. Roast for 8 minutes, take out and flip and cook for another remaining 8 minutes. After around 16 minutes, change the oven to high broil and let cook for a remaining 3 minutes. 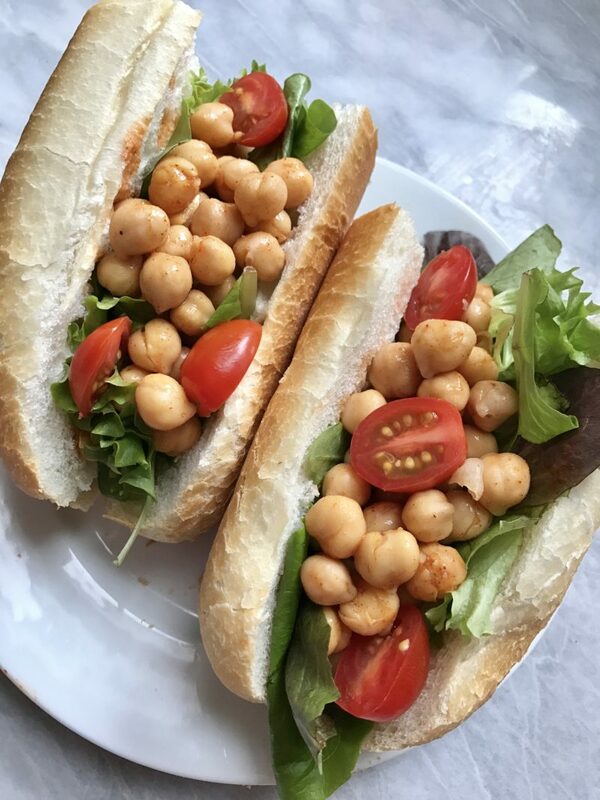 I served it with a spicy mayo combining 1/4 cup vegan mayo & 1 Tsp-1 Tablespoon Sriracha (This really depends on your preferred level of spice). 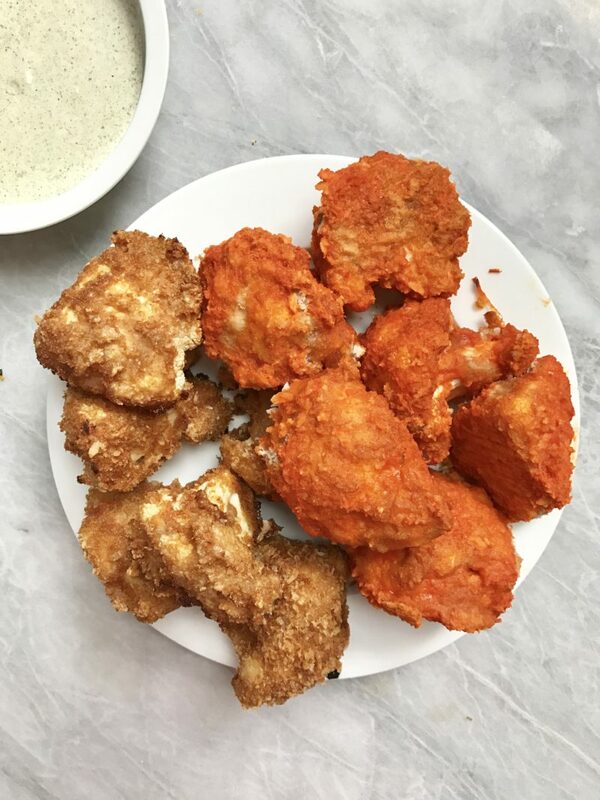 Buffalo Cauliflower Wings are a popular recipe among the Vegan community. I wanted to do a take on the classic recipe while also showing a unique spin on the traditional “wing” recipe by making a more Asian inspired flavor. Wash and cut your cauliflower florets. Make a station with one bowl containing your batter “pancake like” consistency, garlic powder, onion powder, salt & pepper. In the other bowl place in your panko bread crumbs. Begin by placing each floret one by one into the batter then coat with bread crumbs. Place on a baking sheet lined with parchment paper. Repeat until all your florets are coated. Place in oven for 15 minutes. After 15 minutes, pour your buffalo sauce in a bowl and coat each floret with buffalo sauce and place back in oven for another 15-20 minutes. Enjoy! In a separate bowl, combine your soy sauce, maple syrup, sesame oil, rice vinegar and Sriracha in a bowl and set aside. Place in oven for 15 minutes. After 15 minutes, take out cauliflower at coat in the soy sauce mixture. Place back in oven and let cook for up to 20 minutes. Enjoy! Optional: 1/4 Cup Vegan Ranch or Bleu Cheese to Coat the Lettuce. Place your chickpeas in a bowl and coat with the BBQ sauce. Okay but actually who doesn’t love pizza? These are so cute and fun to serve and are great because they are practically no mess as well as being another awesome finger food item. I used the Pillsbury pizza dough because it’s accidentally Vegan BUT you could also use a normal store bought pizza dough or homemade! For items like these, I love to use the Daiya Provolone slices because they melt in a more realistic fashion. I mean look at them! YOU WOULD NEVER KNOW! Optional: Veggies, Vegan Pepperoni, etc. 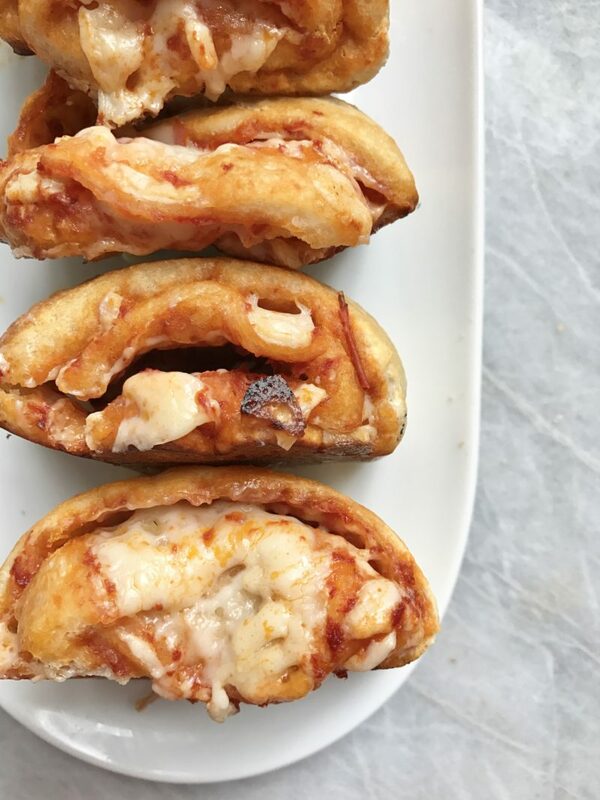 If using Pillsbury, roll out dough and place all your ingredients evenly across and roll into a Stromboli shape. Cut with a sharp knife into pinwheel shapes and cook according to package instructions. If using normal pizza dough, roll out your dough into a rectangle shape. Don’t forget when using actual pizza dough to flour your surface and rolling pin. Place all your ingredients evenly across and roll into a Stromboli shape. Cut with a sharp knife into pinwheel shapes and cook according to package instructions. 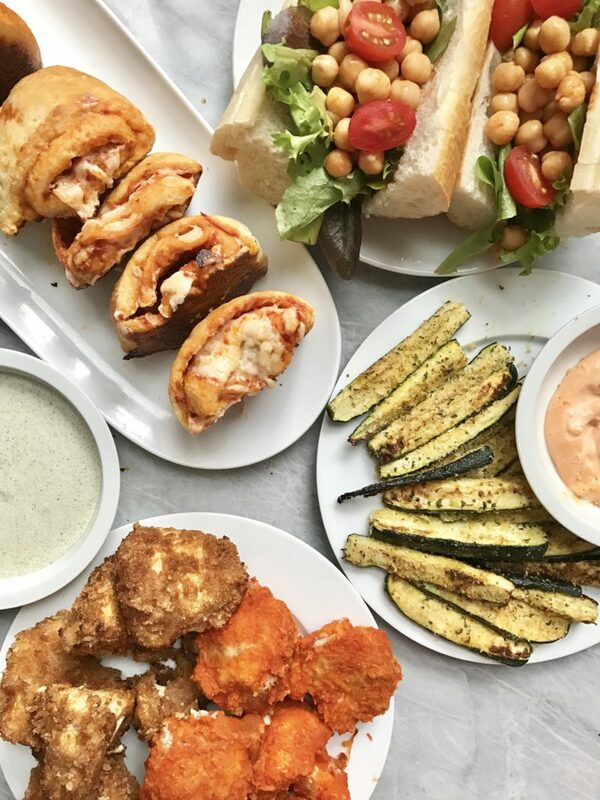 I hope you guys enjoyed these easy & Vegan Super Bowl recipes! They’re all so delicious and all take under 1 hour to make. Have a great Super Bowl and be safe!